The Archive Centre, opened by the Queen in 2004, houses two archives: the Norfolk Record Office and the East Anglian Film Archive which is part of the University of East Anglia. The Archive Centre was funded by the Heritage Lottery Fund, the Norfolk County Council and the University of East Anglia as a vital investment in the preservation of the archives of this region recognising their current and future evidence value for public and academic research and potential for educational and cultural projects. The Norfolk Record Office (NRO) is the local authority archive service for Norfolk. It is a joint service of Norfolk County Council and District Councils in Norfolk. The NRO holds approximately 12 million archival documents, which date from circa 1090 to the present day. The NRO’s collections were created by a wide range of organizations and individuals. 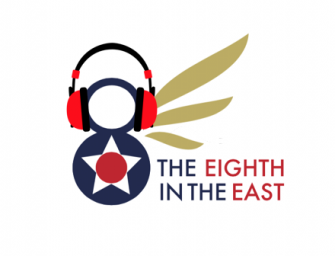 Probably the most relevant collection to the Eighth in the East project is the archive of the 2nd Air Division Memorial Library. 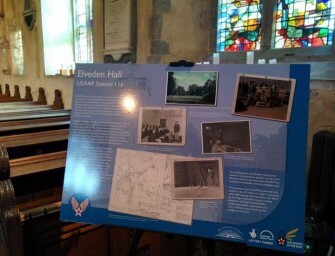 It includes memoirs and original documents collected and created by veterans of the United States Army Air Force’s 2nd Air Division who served in East Anglia during the Second World War. project. The NRO’s conservators are also able to offer professional advice regarding the preservation and conservation of archival documents. The NRO’s website address is http://archives.norfolk.gov.uk. Norfolk Historic Environment Service aims to record, protect and manage Norfolk’s archaeology and historic environment, making information available and providing guidance and advice to all those with responsibility for or an interest in the past. We manage the Norfolk Historic Environment Record which is the comprehensive and definitive record of the historic environment of the county of Norfolk. It exists to provide a record of all areas of known archaeological activity, sites, finds, cropmarks, earthworks, industrial remains, defensive structures and historic buildings in the county. We use the data held in the Historic Environment Record for education, landscape management, local history, monument protection, planning advice and research. An abridged version of the electronic database can be accessed online via the Norfolk Heritage Explorer. During the Second World War the United States Eighth Air Force despatched 3,000 bombers and fighters on a day’s operations involving more than 20,000 airmen, flying from airfields in East Anglia; the largest air strike force ever committed to battle. At full strength the Second Air Division, one of the Eighth’s three divisions, controlled fourteen heavy bomber airfields in Norfolk and northeast Suffolk, and five fighter airfields. Ketteringham Hall served as the Division’s headquarters. The Memorial Library is a unique “living memorial” to nearly 7,000 young Americans in the 2nd Air Division of the US 8th Air Force who lost their lives during the Second World War. Located in the landmark Forum building in the centre of Norwich, we have a lending collection of over 4,000 books covering all aspects of American life and culture, and a specialist collection devoted to the history of the 2nd Air Division. 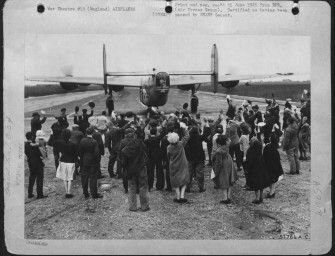 The 2nd Air Division Archive collection, on deposit with the Norfolk Record Office includes personal papers, diaries, photographs, maps, manuals and other memorabilia that relate to the 2nd Air Division USAAF servicemen who were based in Norfolk and Suffolk during the Second World War. Our opening hours are 9am to 5pm Mondays to Saturdays. 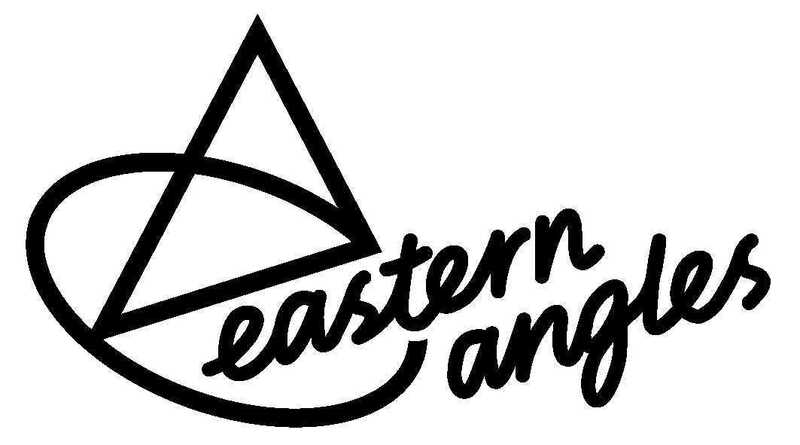 In 2016 Eastern Angles will be producing a play based on material unearthed as part of the Eighth in the East project and touring it all over the East of England. Norfolk Museums Service is a county-wide service comprising ten award-winning museums and a study centre. It is now regarded as one of the leading museum services in the United Kingdom, being recognised in 2012 as an Arts Council England Major Partner Museum, one of 16 museums and museum consortia tasked with providing leadership to the sector. All NMS sites are Accredited museums under the Arts Council Accreditation scheme and many of the collections in our care are Designated of National importance. The Heritage Hub was created in 2010 to represent staff across the University of Hertfordshire who are interested in fostering historical awareness in the community, public policy and commercial settings. The Heritage Hub provides an organised, unified, outward-facing identity for University of Hertfordshire heritage engagement activities.It pools the heritage expertise held by staff, exploring exciting synergies between academic disciplines regarding local and regional heritage initiatives. Th Heritage Hub works with local communities, social enterprises, tourism, housing associations, archives and library services, conservation charities, district and county councils, education and outreach organisations, local museums, societies and private individuals, heritage trusts, and companies operating in the heritage sector. You can find out more about the hub’s work at their website.